This timing belt tensioner is designed specifically for later models of Citroen/Peugeot models. A set of three timing pins for a variety of Citroen/Peugeot engines. Camshaft Timing Pin (C106) 5711-TA, 9041-TZ, 5711-TC. Flywheel Locking Tool (C115) OEM 0134AF, 0134Q, 0188F. Engine Timing Tool Kit for PSA 2.5/2.8D. 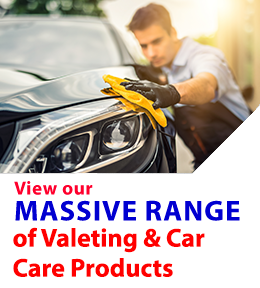 Also for Fiat | Iveco | Renault | Vauxhall. Set comprises of setting pin x 2, Flywheel locking pin and tensioner retaining tool. Renault engines with codes: L7X 700/701/713/727/731 /XFZ and ES9J4 engines. Peugeot 605 3.0 V6. 406 3.0 V6. Applications include BMW Mini 1.6 16v with engine codes N14/R56. Packed in EVA foam with metal storage case. Also suitable for Citroën C4 and Peugeot 207/308 with engine codes EP6 DT/DTS. For the belt driven 1.4 8 v and 16v PSA engines. KFW engines require the addition of Valve Spring Compressor Laser Number 3789, available separately. This comprehensive set of tools enables the correct engine timing to be made when replacing the timing belt. Recently updated, this kit covers most of the PSA range with all the tools required for the popular engines. Tensioning tool for clockwise/anti clockwise tensioners. OEM 1 860 638 000. This Timing Pin Set is suitable for Peugeot 2.7d and can be used with Laser 4273. Also covers additional applications including Citroen C6 and Peugeot 407 / Coupe 607 (2004-2008) with engine code DT17TED4 (UHZ). OEM codes for the new alignment pins are 0196C and 0195K. This new tool set enables the correct valve timing on these popular 1.4/1.6 valvetronic petrol engines with codes N12. Applications: BMW Mini with 1.4/1.6 valvetronic petrol engines code N12. Packed in a plastic tube. Engine Codes EW12J4(3FC) | EW10D-HPI(RLZ) | EW10J4S(RFK) | EW10J4(RFN/RFR) | EW7J4(6FZ). EW is the prefix used on the vehicles engine number. A 3 digit code in the chassis number identifies the engine used in the vehicle. Full OEM cross reference in each kit with component guidance.